Seeing as it’s been a while since I’ve shared a “history of” here on barthaynes.com, I thought I’d share today a bit of the bizarre with 11 Guinness World Records with bicycles. As we all know, the Guinness Book of World Records has a tendency to get a bit wacky and outlandish. The records pertaining to bikes have proven to be equally as eccentric. Therefore, keep reading to discover all about 11 Guinness World Records with bicycles that will knock your socks off! 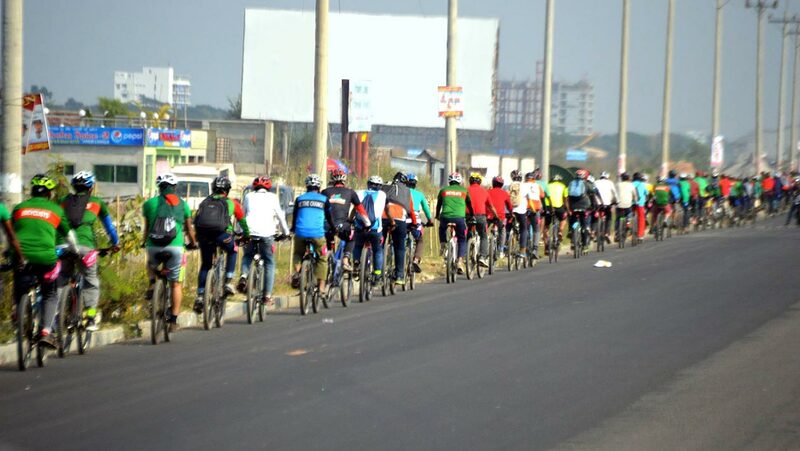 The longest single line of moving bicycles consists of 1,186 cyclists, achieved during an event organised by BDCyclists (Bangladesh), in Dhaka, Bangladesh, on December 16, 2016. 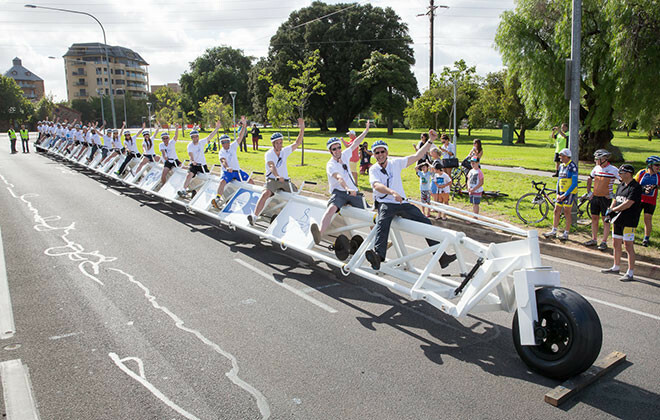 The longest bicycle is 41.42 m (135 ft 10.7 in) long, and was achieved by Santos and University of South Australia (both Australia) as measured and ridden in Adelaide, Australia, on January 17, 2015. The bike was ridden over a distance of 100 m with no stabilisers to prove that it is “rideable”. 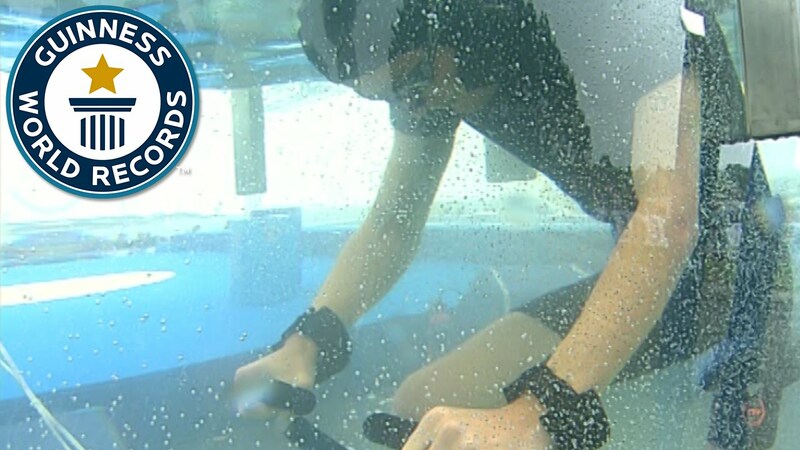 In July of 2003, Ludovic Diligeart (France) clocked up a distance of 702 m (2,303 ft) on a submerged exercise bike in a single breath on the set of L’Ete De Tous Les Records, Benodet, without the use of any breathing equipment, setting the world record for Farthest distance cycling underwater on a static bike. 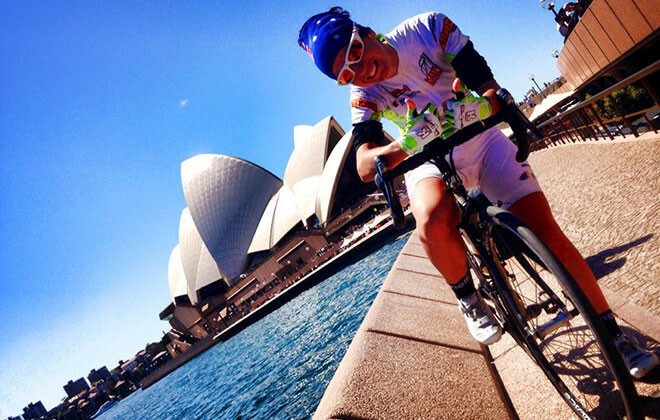 The fastest circumnavigation by bicycle (female) is 144 days and was achieved by Paola Gianotti (Italy) who cycled a distance of 29,595 km (18,389 miles). The journey started and finished at Ivrea, Turin, Italy, from March 8th to November 30th in 2014. During this epic voyage, on May 16, 2014, Paola was injured in a road accident which resulted in a fractured vertebrae. Undeterred, Paola recovered and resumed her attempt on September 18, 2014. 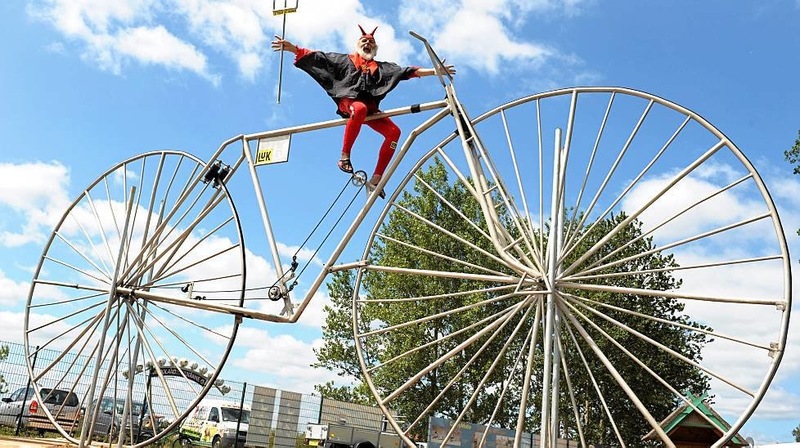 The largest rideable bicycle has a wheel diameter of 3.3 m (10 ft 9.92 in) and was built by Didi Senft (Germany) and measured at Pudagla, Germany, on October 2, 2012. The bicycle measures 7.8 m (25 ft 7.09 in) long, 3.7 m (12 ft 1.67 in) high and weighs 150 kg (330.69 lb). 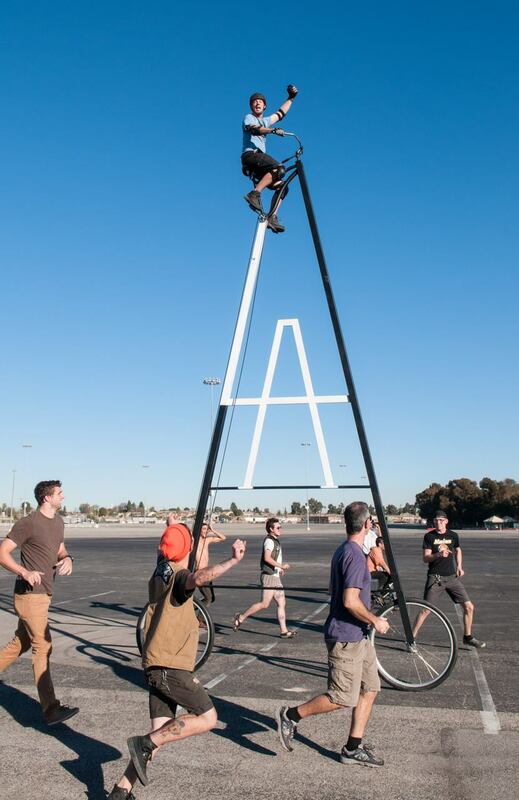 The tallest rideable bicycle is “Stoopidtaller” which measures 6.15 m (20 ft 2.5 in) and was built by Richie Trimble (USA) and measured in Los Angeles, California, USA, on December 26, 2013. The highest bicycle bunny hop is 1.43 m (4 ft 8.30 in) and was achieved by Rick Koekoek (Netherlands) at Prudential RideLondon FreeCycle, in London, UK, on August 9, 2014. The steepest gradient tightrope crossing by a bicycle is 3.7% and was achieved by Freddy Nock (Switzerland), in Erlenbach, Switzerland, on September 7, 2015. Freddy also achieved the longest tightrope crossing by bicycle at the same time. 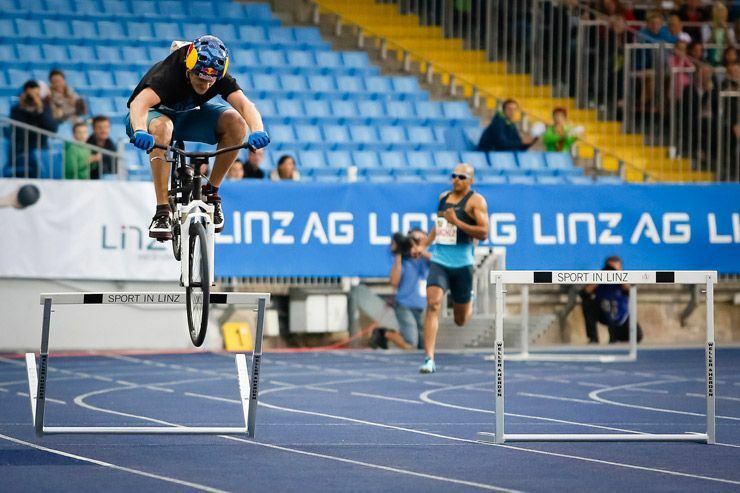 The fastest 400 m hurdles on a bicycle is 44.62 seconds and was achieved by Thomas Öhler (Austria) in Linz, Austria, on August 26, 2013. To make his record attempt even tougher, Thomas decided to race against London 2012 Olympic gold medal winner for the Men’s 400m hurdles, Félix Sánchez (USA/Dominican Republic). Thomas ultimately prevailed in the race, with Sanchez clocking a time of 49.86 seconds, more than five seconds behind Thomas. The longest bicycle stoppie (feet on handlebars) was 17.50 m (57 ft 4.97 in) and was achieved by Abdul Rahaman (India) on the set of Guinness World Records – Ab India Todega in Lalitpur, Bhopal, India, on March 3, 2011. Abdul carried out a front wheel bicycle stoppie. The distance was measured by marking the point at which the back wheel left the ground and measuring the distance between this point and the point at which the back wheel then touched back down onto the ground. 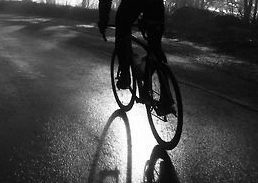 The most countries visited by bicycle in 7 days is 11 and was achieved by Glen Burmeister (UK) who cycled from Breclav, Czech Republic to Shkodër, Albania from April 29 to May 5, 2013. 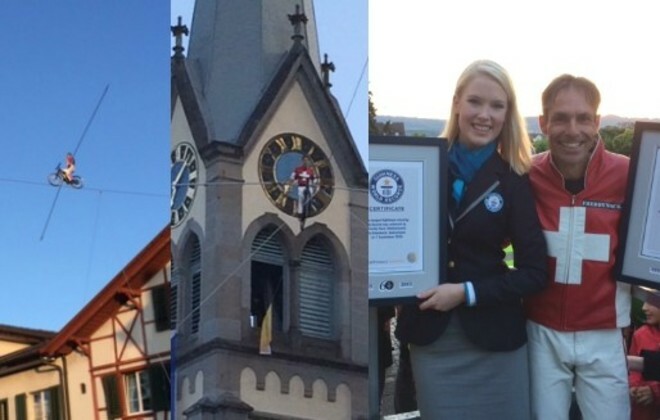 I hope you all enjoyed this post featuring 11 Guinness World Records with Bicycles! Happy riding, fellow cyclists!